At the risk of being controversial, I don't feel that self hosted WordPress is the right platform for everyone. This is why. Self hosted WordPress is known for it's flexibility and power. It started as a blogging platform and quickly became popular with with all types of websites. (People that have been using it long enough will remember when WordPress introduced the ability to use a static page as the homepage – this one feature was a game changer). As it became easier to use, more people began to use it to power their own websites. I am a huge fan. But I think that there are some people that are better off using a different platform. Is Self Hosted WordPress Right For You? 1. Are You Willing to Learn The Tech Stuff? belong to a volunteer organization – where the webmaster changes year after year. If you don't want to learn about WordPress – then stop right here. This first point is really the prelude to all the rest. 2. Do You Know the Difference Between Self Hosted WordPress and WordPress.com? I hope that you will take this in the right way – I do not mean to ridicule. Rather my purpose is to warn. If you don't know the difference between self hosted WordPress and WordPress.com – you will likely find yourself in over your head with a self hosted site. This week alone I spoke to one person that was trying to log into her self hosted site using WordPress.com and another that had repeatedly tried to “call WordPress” when her self hosted site crashed. Of course, neither will work. With self hosted WordPress you are dealing with many entities – your domain registrar, your host, your theme developer, and your plugin developers. When something doesn't work, there is no ONE person to call. 3. Are You Aware of the Costs? WordPress has often been thought of as a “free” platform. When people say this, I am not quite sure what angle they are coming from. I don't know if they are thinking of WordPress.com (which offers a free account as well as a premium version) or if they are thinking of self hosted WordPress which is open source and free to download – but is actually far from free. Here is a list of blog tools that I pay for and use or have used for my WordPress site. 4. Will You Perform Site Maintenance? WordPress.org (as opposed to dot com) periodically pushes out updates to the platform. In anticipation of these platform updates, theme developers and plugin developers will push out updates to their themes and plugins. Generally, themes and plugins are NOT automatically updated. In your self hosted WordPress dashboard, you will likely see that there is an update available. But you must manually go into your dashboard and install the updates. The process is relatively simple, if all goes well. On the other hand, some hosts will automatically update the WordPress platform. Here's the kicker – if you don't update your plugins and theme before the WordPress gets installed, it is possible for your theme to break. If your theme or plugin developer does not issue a theme update in anticipation of a WordPress update, it is possible for your theme to break. (Which is why I don't like free themes nor do I care much for custom themes. Aside from the whole breakage thing – if you don't keep your site updated you are making it more susceptible to hackers. Some hosting plans like the ChoicePlus plan offered by Bluehost include a regular backup of your WordPress site. and, if your host will help you install a back up if needed. 6. Are You Willing to Pay Someone to Maintain Your Site? As you can see, site maintenance is important. If you don't want to do it yourself – it still needs to be done. So, are you willing to pay someone for their time to keep you site updated? Often there is some sticker shock involved. If you have ever sat on the phone with customer service, you know that minutes can tick away. If you have ever dealt with technical issues, you know that time flies. The people that can maintain your website should have the technical ability to handle it but at the same time their work goes far beyond the click of a button. 7. Is SEO Important to You? Now don't answer this one too quickly. Of course, you want people to find your site – and self hosted WordPress with the right theme is well optimized already. But, if you are a volunteer organization that uses your website to communicate with your existing members – then maybe you don't need all that WordPress has to offer. Or, if you don't regularly add new information to your website – then again maybe WordPress is too much power. The search engines feed on new info, new blog posts, – no matter how well optimized your site is, it will stagnate without new content. 8. 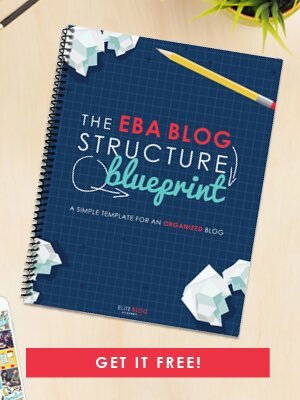 Do You Plan to Start A Blog? I think that WordPress is top notch when it comes to blogging. If a blog is going to be a big part of your website, then maybe you do need it. But, you should be willing to learn (back to #1) how to add posts and media. For an active blog, it may not be cost effective to run to a VA every time you need to publish a post. Check out these Beginner Blogger FAQ's and you can also take this quiz to see if blogging is right for you. 9. Will You Be Adding More Functionality to Your Website? If you have plans to add a podcast, a shopping cart, courses, forums, or membership functionality to your website then you should evaluate different platforms based on these needs. By itself, WordPress does not offer this additional functionality. But there are premium plugins (yes, you have to pay for them) that you can install. Once again, we full circle to maintenance where you will need to keep these updated and make sure they play nice with the other plugins on your site. 10. Do You Want One Stop Shopping? If you answered yes to this, then self hosted WordPress might not be right for you. It definitely is not one stop. There are other options to choose from: Weebly, Wix, Squarespace, and even WordPress.com allow you more of a set it and forget it functionality. You pay a monthly fee and they take care of all the updates on the backend. Yes, there is a monthly charge. But we've already established that WordPress isn't free either. Will You Have Turnover in Your Webmasters? If your organization is run by volunteers then sometimes one stop shopping is best. Because self hosted WordPress has so many moving parts, it is hard to take control of the beast. And, equally important, who is paying for each of those accounts in a volunteer organization. If you lose control of even one piece, you could lose control of your website. Believe me, I am a huge self hosted WordPress fan. As powerful as it is, I just want to make you aware of the responsibilities involved. Just like you take your car in for regular maintenance, you must do the same for your website. I encourage you to first learn about the all the different platforms available to you and the ins and outs of WordPress hosting before you before you blindly start your blog. Did You Decide Against WordPress? If you considered WordPress but ultimately chose a different platform – I would love to hear your story. Please leave a comment below and tell me what platform you chose and why. For me, your article is timely. I have two blogs, both of which are currently on wordpress.com. I am in the process of moving my writing blog to a self-hosted wordpress status. For me, it makes sense since my writing blog has decent traffic and a following, but I’d like to add the ability to sell my books and poetry from the website. I’ve outgrown the simple functions of wordpress.com. On the flip side, I also have a blog devoted to my 20+ year jewelry business. As I continue to publish more stories, I’ve been slowing the jewelry making in my life. However, my customers still want me to have some sort of presence on the internet. I am moving away from a jewelry based blog and will create a static webpage with a photo gallery of products and a list of where my customers can find me at venues. Continuing to blog for the jewelry makes no sense any longer, but a website using Wix or Weebly does. In a way, I will miss wordpress.com. You are right that maintaining a self-hosted site has more money and time demands, it was the reason I’ve stuck with wordpress.com for as long as I have. In the end, the power of self-hosting wins out when you are using your blog to be the base of your author platform. I totally agree – self hosted WordPress is very powerful. Especially when you factor in plugin functionality – you can really make it do just about anything. And for people who are ready for that it is perfect. However, I was just having a conversation with someone about how wonderful it works – until it doesn’t. For the most part it chugs along nicely, but when things break down – there is a good bit of troubleshooting involved. And again – as long as a person is prepared for that, self hosted WordPress is an amazing choice. If it’s one stop shopping that you need, then it might not be the answer. It sounds like you have your plan of action mapped out and well thought out.